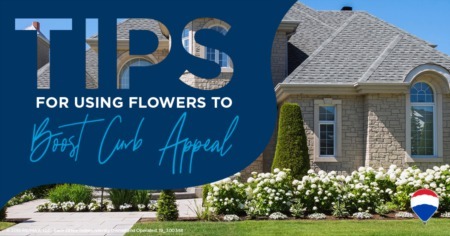 6 Tips for Using Flowers to Boost Curb Appeal? Unleash some flower power to increase your home’s curb appeal. There’s a method to leveraging all those petals to help your property bloom. Here are some tips for getting started. Spend a few bucks on a color wheel at your local paint or art supply store to help you understand how different colors relate to one another. Choose flowers with colors close to one another on the wheel for a more harmonious scheme, or colors on opposite sides of the wheel for a complementary color theme. To really mix things up, choose three colors that are equidistant from each other on the wheel. A monochromatic color scheme can help create a feeling of spaciousness because the eye is not interrupted by other colors. To mix things up, add lighter and darker versions of the same color flowers. Calculate how much money you have in savings and assets, your total annual income and your expenses. Know how much of it you can allocate toward a down payment and other expenses. Check your credit report and fix any errors. This will help you determine what type of loan you qualify for, and the price range of homes you want to look at. It’s important that you keep an open mind and look at a wide range of properties. Go to open houses. Cruise the Internet. Peruse different neighborhoods. As a real estate agent, I can help by finding properties that match as many of your “wants” and “needs” as possible. When you fall in love with a house and are ready to make it official, I can help you navigate the process from putting in an offer to the closing table. 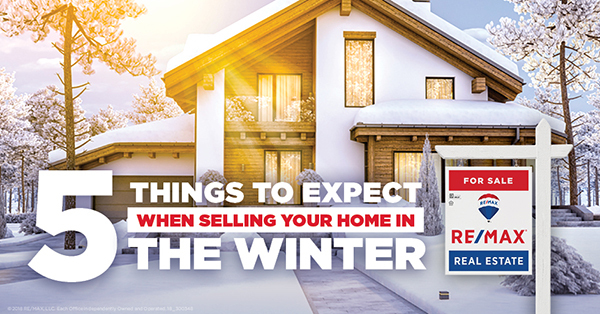 For more advice on how to prepare to buy a home, contact me today! I can help you through every step of the process. It's time to dive into your Spring Maintenance Checklist to ensure that your systems and appliances run smoothly all year-long. We'll take you down a step-by-step process to ensure that your summer is as breezy as ever. Read these tips and download our guide to help you develop a plan. Spring has sprung, and the evidence is blooming all around us. After you take it all in, it’s time to get busy. Now is the perfect time to take care of some routine home maintenance to get your household organized for spring and keep it running smoothly and efficiently right through summer. Click below to download the Spring Maintenance Checklist! Poor or improper drainage can cause water damage to your home. 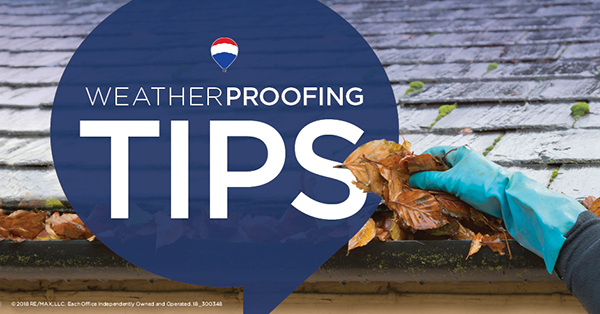 Check for loose and leaky gutters and ensure downspouts are positioned to drain away from your home's foundation. Clear debris from all gutters and downspouts. Spring has officially sprung! Bring on the outdoor activities, backyard barbecues and warm weather, right? The majority of us would happily welcome all of these, but before the springtime festivities begin, homeowners have a task that many would probably prefer to skip — spring cleaning. Seems obvious, but you’d be surprised at how many families jump in without one. Having a plan will ensure that you have cleaned and covered all areas. There is an endless supply of printable checklists online; choose the one that best fits your needs, and as you complete the tasks, (happily) cross them off the list. Divide and conquer. Encourage the whole family to help by incorporating games with the chores. Make it a race or have an assembly line. And the dirtier the task, the better the reward. Who wouldn’t be ready to get back in the sun after a long, cold winter? Use this as an excuse to organize and tidy up the exterior of your home. 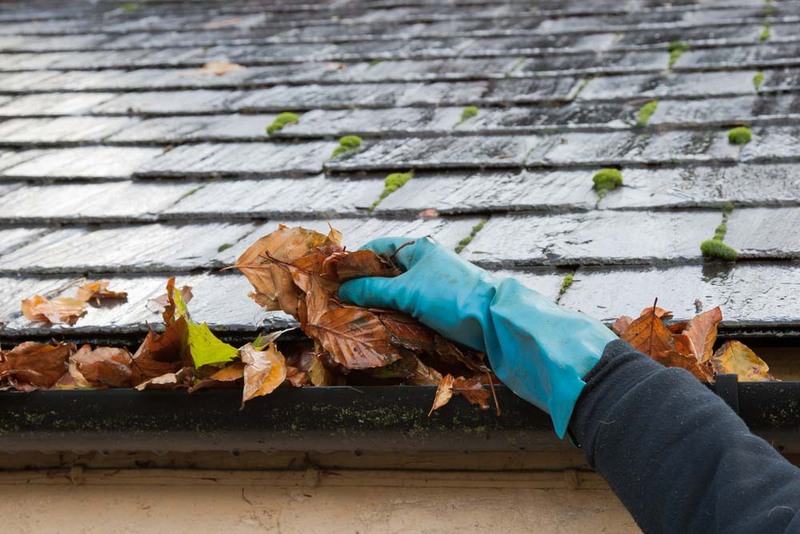 Wash the winter sludge off the windows, clean out the gutters, rake and fertilize the lawn, and organize the garage. 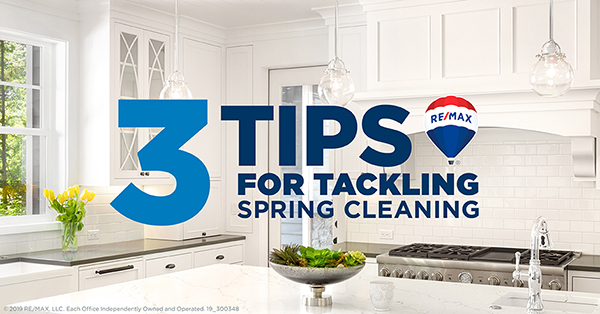 Hopefully, these quick tips will make the task of spring cleaning seem a little less daunting. You may not think “real estate” when you think about modern technology, but several advances are making the lives of homebuyers, home sellers, and agents a lot easier — not to mention adding peace of mind with added security measures. Here are a few. 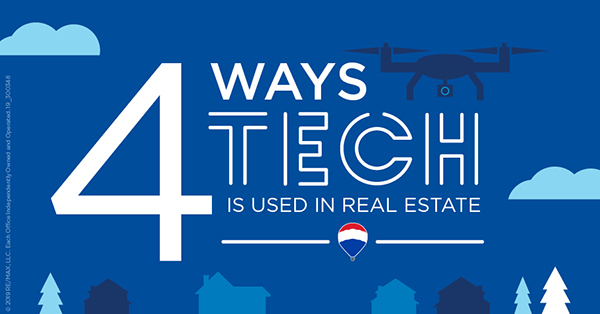 Fitting a small camera onto a helicopter drone lets agents capture aerial images of homes, properties and neighborhoods to feature in sales listings. Drones can also be useful for checking out things like roof damage without a ladder. The Federal Aviation Administration recently loosened its guidelines on commercial uses for drones, making it easier for more agents to adopt the technology. Years ago, an agent could spend hours driving back and forth to collect buyer and seller signatures on forms. Today, we can toss our pens and manage everything from the office thanks to digital signing platforms. The government passed laws that make electronic signatures just as valid as physical signatures. Platforms like DocuSign let agents securely send documents for clients to authorize with a simple click on a computer or a phone. Smart lockboxes on homes have several features that can make showing a home more secure. These new boxes allow smart phones to work as keys, which means they also can track who enters and leaves the home. Some boxes can also be programmed to host real-time information about the home and the neighborhood which visitors can access using their smart phones. 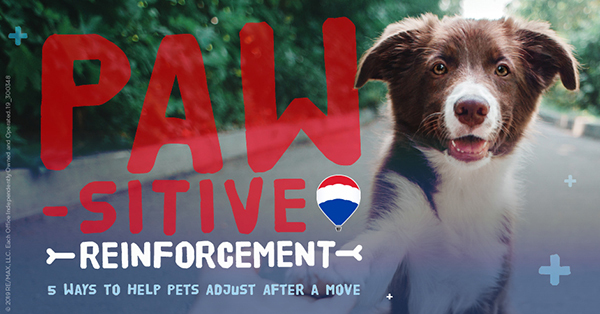 Moving can be stressful for every family member – including the four-legged ones. Every animal reacts differently to new living quarters, and temperament has a lot to do with it. Some pets take a move in stride, while others exhibit anxiety or insecurity for days or weeks. Here are 5 things to consider as the big move approaches and after you’re in your new home. Ask your veterinarian for recommendations on easing the transition. If your pet is generally anxious or high-strung, it might be worth asking your vet whether a mild calming medication might help during travel and the transition period in the new home. Upon moving in, give your pet time to explore the house gradually, rather than letting it loose to roam at will. Limit it to one area – perhaps the kitchen – for a few hours until it calms down. Show the pet where you’ve placed its familiar items like the food dish, water bowl and bed. If you have a dog, put on their leash and take them of an initial home tour. Avoid letting pets out unsupervised for several days until you’re sure they can’t climb or dig out from under the fence. Help release anxiety and pent-up energy by taking your dog for a walk and sniff through the neighborhood. While people learn about a new place primarily by visual cues, dogs depend on their noses. Homebuying isn’t just for couples — a subset of single homebuyers continues to grow across the U.S. and they are competitive players in the current housing market. Millions of singles are out there and they, too, want a piece of the American Dream — homeownership. Realtor.com reports that in 1960, one-person households made up 13 percent of U.S. households; by 2017 that figure rose to 27.9 percent (the actual number of singles is much higher, since these figures don’t include single parents with children). In November, RE/MAX analyzed data from the RE/MAX National Housing Report, along with the share of mortgages taken out by singles according to mortgage processor Ellie Mae, to rank the top five U.S. cities for singles looking to buy a home. With a median sales price well below the RE/MAX National Housing Report average of $235,000 (November 2018), nearly half of all recent mortgages in The Rock & Roll Capital of the World belong to singles. 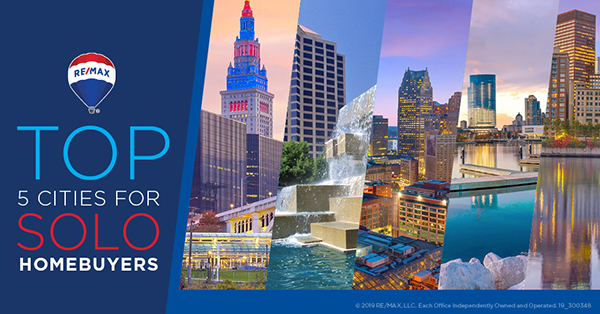 Cleveland boasts many of the Midwest’s most visited attractions, including the Rock & Roll Hall of Fame, Pro Football Hall of Fame, the “A Christmas Story” home, Cedar Point Amusement Park and the Cleveland Museum of Art. Let’s face it: the world is a busy place and it seems to get busier with every passing year. Many of us feel like we increasingly have to do more with less time. Fortunately, there are some great apps out there that can sensibly bring more order to your life. 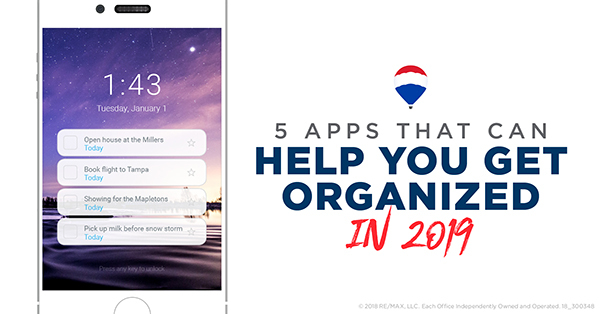 From managing projects to saving articles to read later, here are five apps that can help you become more organized in the coming year. Wunderlist is an easy way to get stuff done. Whether you’re planning a holiday, sharing a shopping list with a partner or managing multiple work projects, Wunderlist is there to help you tick off all your personal and professional to-dos. Share your lists and work collaboratively on projects with your colleagues, friends and family. Thanks to Wunderlist Pro, teamwork has never been easier. Finding a great note-taking app is like finding the perfect pair of jeans. They’re hard to come across, but once you do, you’ll always stick with them. The same goes for the best smartphone apps. Some people might still prefer the old, foolproof method of taking notes with pen and paper, but this is the mobile era, and having one good note-taking app on your phone can save you constant hassle. Evernote helps you capture and prioritize ideas, projects, and to-do lists, so nothing falls through the cracks. With fewer homes on the market, your property’s unique features stand out even more. Are you the only townhome within walking distance of downtown? The only split-level with a pool in your school district? I’ll be sure to mention it in your listing. Not everyone looking in the winter must move immediately. We can discuss ideas about how to market your home among local businesses and organizations with fluid populations, such as universities, or via school district websites that might attract families moving to the area. 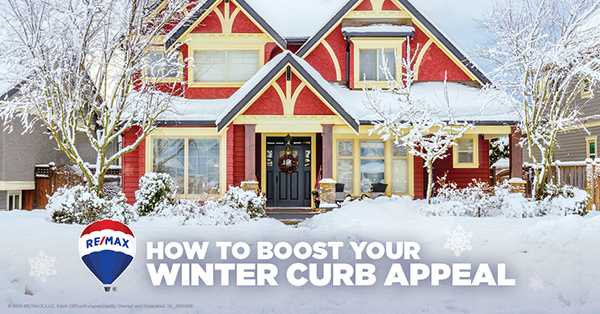 Just because the temperature is freezing doesn’t mean you can’t warm buyers’ hearts with your home’s exterior during the winter. Here are a few tips to help make your property inviting. Don’t miss the opportunity to make a great first impression. New doors are worth the investment. Or, give your door a fresh coat of paint and upgrade your handles and knocker with some shiny bling. When appropriate, brightly colored doors can create a charming focal point, especially during winter when the world can seem white and grey. Evergreen shrubs look terrific in pots on the porch and can add allure to your home’s entry. Be sure that all walkways are clear of snow and ice. In addition to helping to prevent dangerous slips, the clean lines of a shoveled driveway look great and imply your property is well cared for. Past January 1, be sure to take down distracting holiday decorations. No blinking lights, reindeer on the roof, and no inflatable snow globes. You can, however, dress up your front door with a non-denominational winter wreath. If there’s room on your porch, consider adding a rocking chair or bistro set. While prospective buyers probably won’t consider whiling away the evening out there in winter, the furniture can remind them how nice it is to sit there in warmer weather. One of the greatest rewards of helping clients find their new home in summer is the opportunity it presents for them to host friends and family for Thanksgiving. It’s usually enough time to get most of the boxes unpacked, decorate and get the new place ready for entertaining. 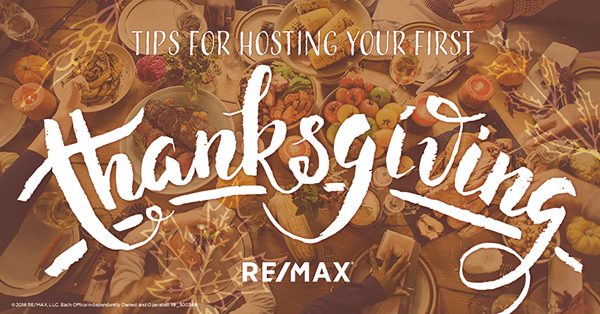 If you are a new homeowner who will be welcoming guests to your place for the holidays, check out my tips below for hosting a memorable Thanksgiving. The secret to hosting family and friends in your home is planning early; and even more so for a holiday like Thanksgiving. First, take an assessment of your home and the spaces and the activities that will be happening, then make a list of what needs to be done to welcome guests. It may be as simple as adding more seating or as major as replacing flooring. Once you have a clear picture of what needs to be done, you can start prioritizing. If you recently moved into a fixer-upper and you have many things on your to-do list, don’t be discouraged. Focus your energy on the spaces of your home that will get used the most when you have company, like the kitchen, living room and bathroom. Surprise! Houses are expensive. The down payment for which you’ve spent so much time saving might not be enough. In addition to closing costs, there can also be unexpected fees around every corner. Make sure that you have significant cushion savings in addition to whatever you plan on putting down for your house—you never know how these things will play out. Staying organized is essential when you’re house hunting. Are you serious about the bid you’re putting down? 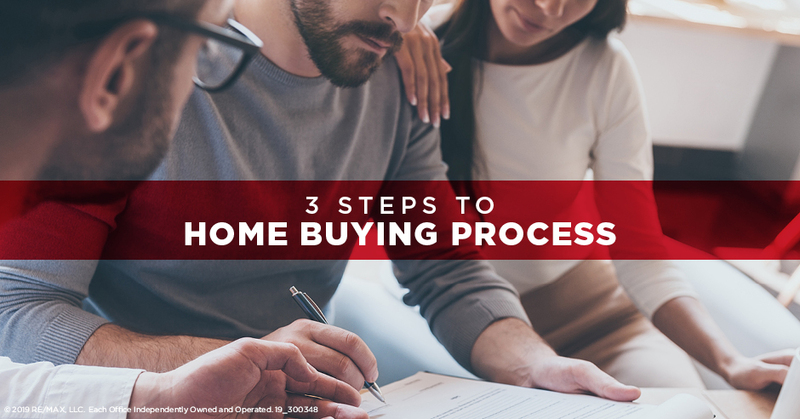 Make sure that you’re fully aware of all deadlines, contingencies, and paperwork involved in moving forward with your home purchase. 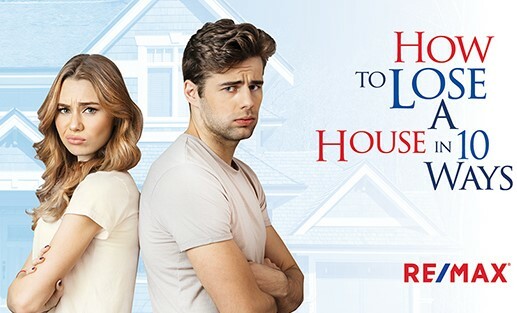 Looking for houses way outside of your budget is the first way to “lose a house”—you’ll just be losing a home you never had a chance of having. When you shop above your budget you’re sure to find a dream house that’s nothing more than that: a dream. Also plan for the strong possibility of putting in an offer above asking price. This may mean looking at homes listed a few thousand below your budget to create padding in your budget to make a higher offer. Trying to save money? During my years of experience in the real estate industry, I’ve learned that home maintenance is so much more affordable than emergency repairs. Here are five routine maintenance projects that can help prevent unexpected costs and save you money year-round. Game on! 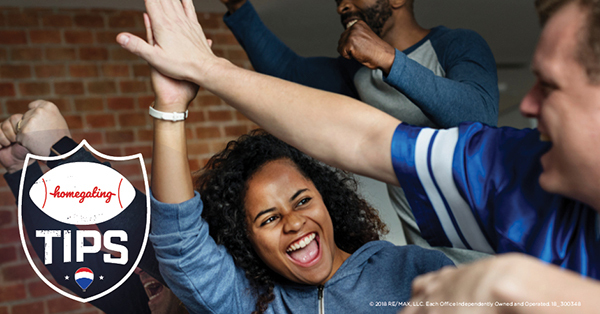 It’s that time of year again, when your family and friends get together for the big game and an afternoon of food, beer, team spirit and homegating. Yes, homegating has officially become the new tailgating. No more bundling up in chilly fall weather or butting heads with your rivals over whose hot dog toppings are better; sports fans are trading in for an even better game experience right in their living room. Tailgating decorations are aplenty in the world of sports and for homegating you can find even more! Garnish your entertainment room with team colors and memorabilia, including team cups, koozies, game-day chair covers, wall decor…the list goes on. It may be worth moving your bulky, fragile furniture out of your entertainment room to create space for extra chairs (or pacing, for those nail-biting plays). Set aside a few easily accessible folding chairs or bar stools so that everyone watching has a seat to hold on to. Your young children more than likely don’t know who’s playing in the championship, and probably don’t care either. Dedicate a safe space for them to romp around and have their own playtime. A snack and beverage station on the sidelines will go over well with all your guests. Don’t overthink it, though; if a cooler of drinks and a variety of appetizers can get fans through a tailgate, the same will work at your homegate. While house hunting TV shows tour the neighborhood, close the deal and throw a housewarming party in 30 minutes, real life is not as streamlined. 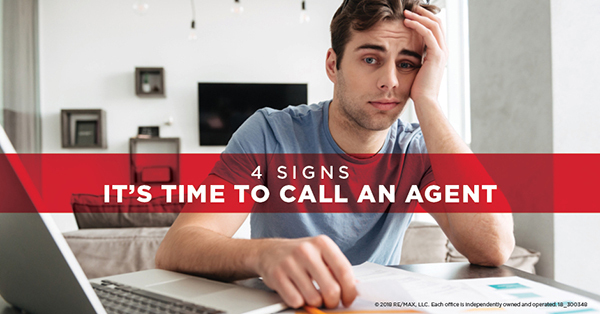 If you’re in the process of buying a home, here are signs it’s time to call a Realtor®. While you can view tons of listings online, not all of the information is accurate or up-to-date. You’ll see outdated comps, conflicting forecasts and different ratings. With access to the MLS and insight on properties about to hit the market, a Realtor will make sure you’re considering all of the homes in your marketplace that fit your criteria. You don’t need to spend time sorting through listings and contacting sellers. An agent will do the browsing so you only visit the homes that best fit your needs and price range. As professional negotiators with years of experience, Realtors know how to create, present and negotiate the best offer. Remember, you’ll be going up against another professional negotiator: the seller’s agent. An agent who knows the neighborhood can give you the scoop about local developments and changes that don’t always pop up in a Google search. He or she will also put them in context of larger market forces that could impact the future value of a home. Going back to school is an exciting time. Kids get to see their friends, have a new year of field trips to look forward to and, with any luck, get the teachers your neighbors rave about. 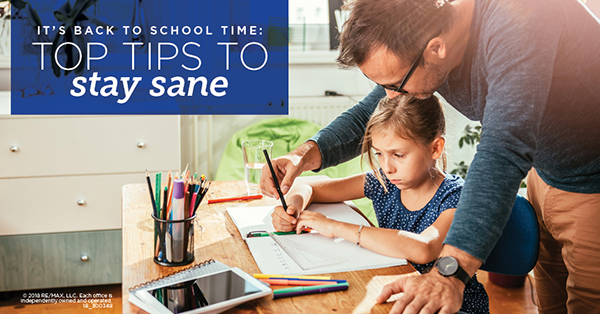 However, with homework and extracurricular activities, going back to school can be stress-inducing for both parents and children. Here are some tips to keep calm, cool and collected. Every minute, 62 children enter a Children’s Miracle Network Hospital for treatment. For the past 26 years, RE/MAX agents have donated generously to make sure they receive the treatment they need. For you, a house isn’t home without your animal family members. 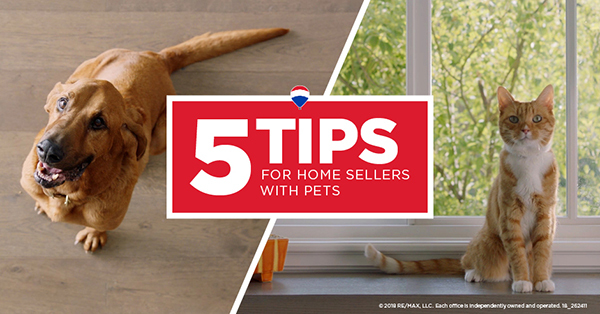 But for potential buyers, lingering animal smells and fur can be a turn-off. Here are my best tips removing traces of pets for before a showing. 1. 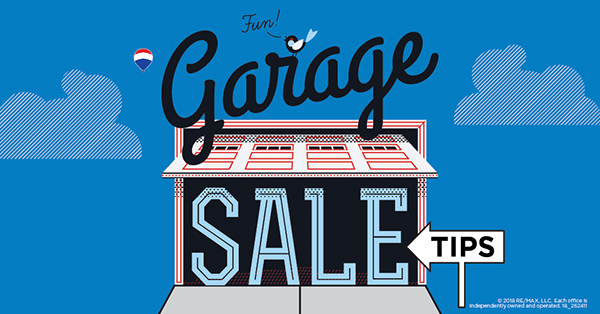 List your sale on the "Garage Sale" section of Craigslist and on any neighborhood Facebook page groups. Include photos of your more interesting items to attract shoppers. © Copyright 2019 Zachary Pitts. All Rights Reserved.